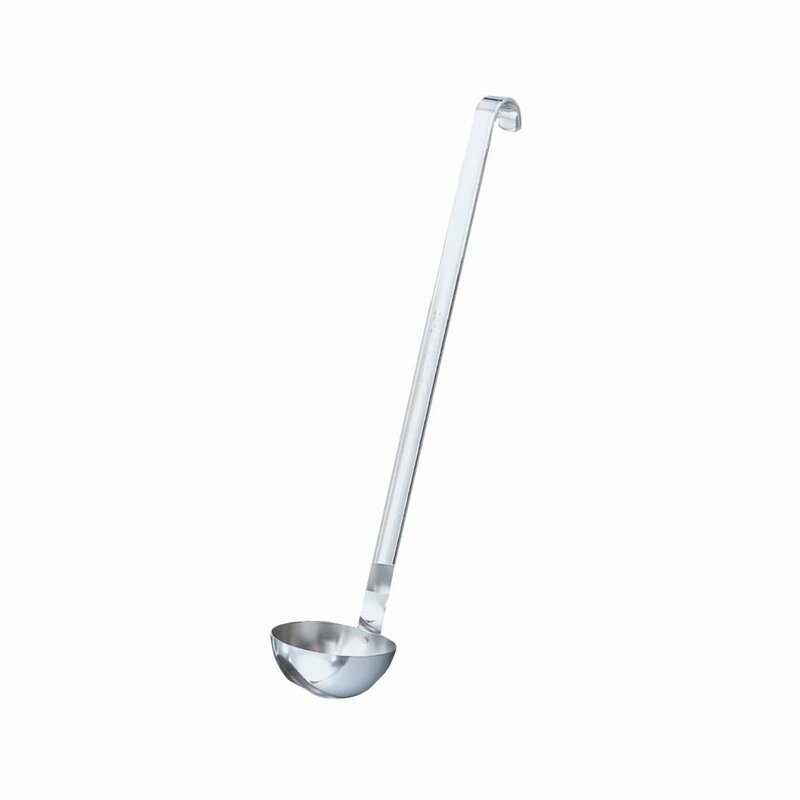 This ladle has grooved handle for added strength. Made of 8-8 stainless steel material. Hooked handle to prevent sliding and easy storage. Attractive bright finish. Comes with 4-ounce capacity. 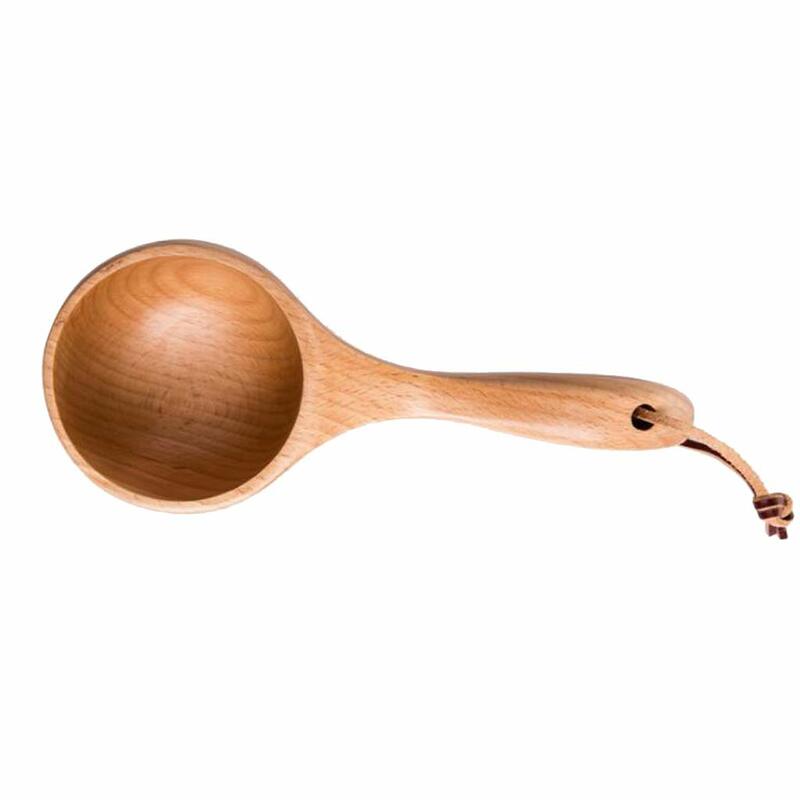 Measures -7/8-inch bowl by -5/8-inch handle length. No problems in receiving the Ladle. It is heavy and well built. 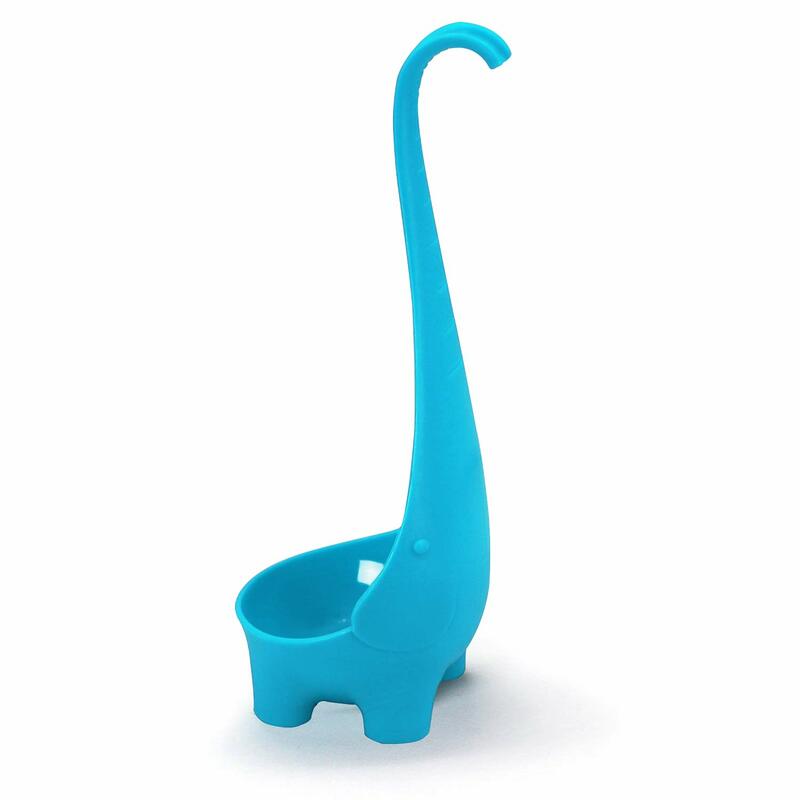 I have used it with soup and the bowl is about the size where two scoops will fill a bowl. The handle is long enough to reach the bottom of a tall stock pot. awesome laddle. perfect size and quality. Very sturdy steel. No idea what happened to my ladle. I am resurrecting my kitchen utensils. They are either very old or missing. I have looked to Oxo for many of the pieces, but a friend recommended this Vollrath piece. 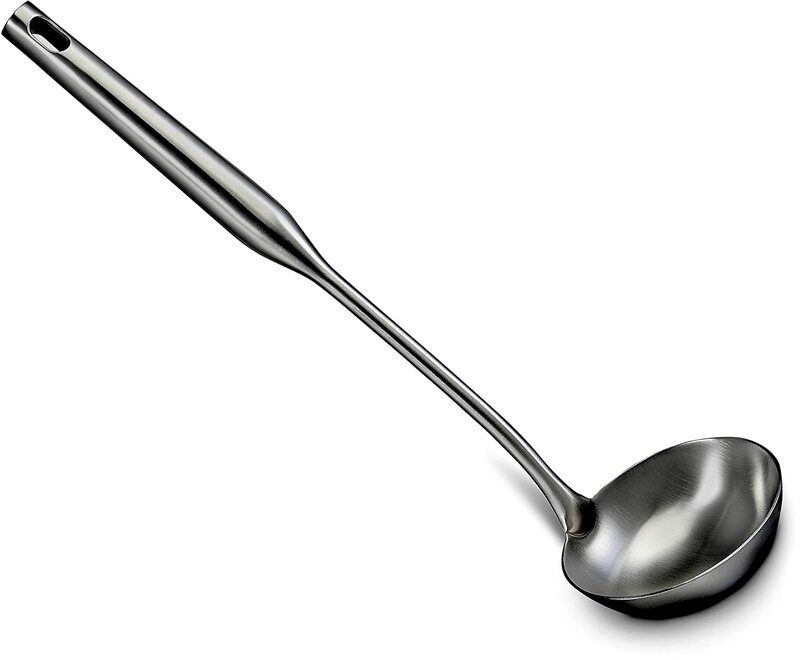 This is a 4-ounce ladle and it is perfect for soups, stew and sauces. 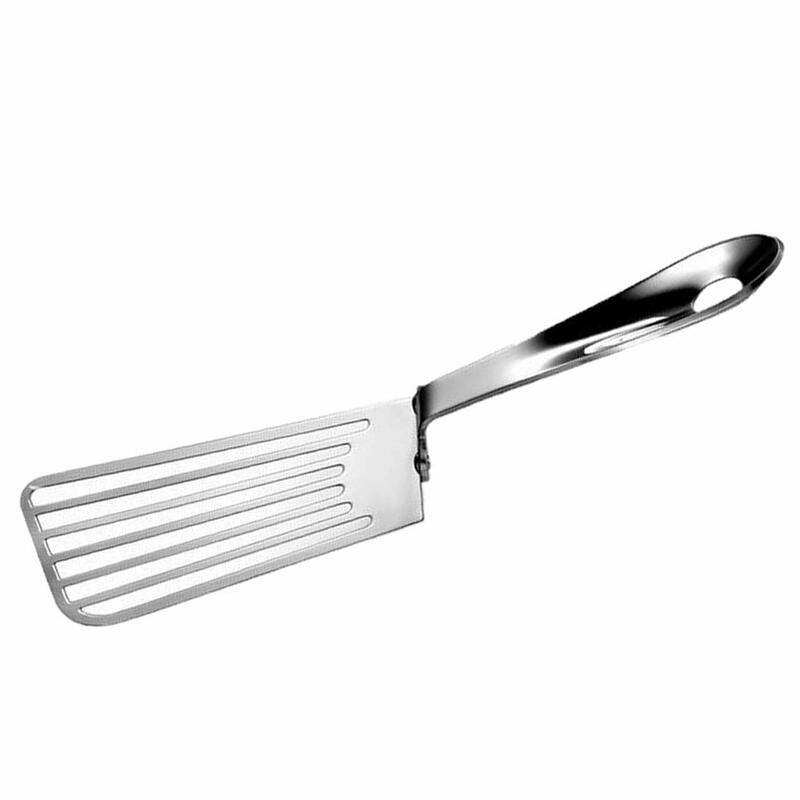 It’s made from a single piece of heavy-gauged stainless steel so it’s dishwasher safe and durable. The hooked end comes in handy for storage, but I put it in my utensil pot for easy access. However the hooked end will also hang onto the edge of your pot to keep it from sliding in. I love this for spaghetti sauce. It is perfect to pick up a couple of ladles of the sauce to top your spaghetti. I have not made beef stew yet, still summer, but I have made squash soup. Love this piece, and the price point is perfect.